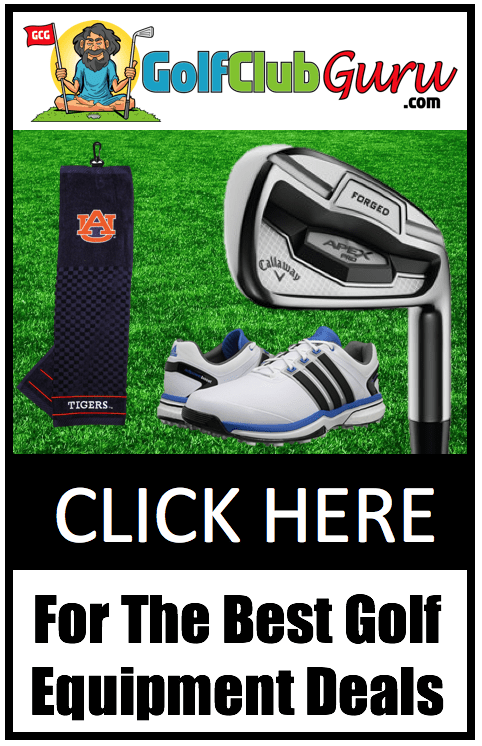 Looking for a new golf bag, huh? Good choice. I bet you’ve been using the same one for 10+ years, haven’t you? Choosing a good golf bag is actually super simple. Why did you even come to google to find the best one? You know you are simply going to choose the one with the coolest design… don’t lie! It’s actually a little more difficult than that, but not by much. Decide on a stand bag or a cart bag. Personally, I think way too many people have cart bags. They are more expensive, too big, and simply uncomfortable. People do realize that you can still ride in a cart with a stand bag… right? And guess what? Stand bags actually stand up on legs! How convenient is that! The only possible reason I can think of for having a cart bag is if you simply have lots of stuff to carry around. What all do you really need to be lugging around in a golf bag though? Stick with the good brands. I don’t think I’m asking too much here. Don’t go with those crappy off-brands. Zippers will break. Fabric will wear down. You’ll be disappointed, I promise. I have cheap-ed out on a golf bag before. I completely regretted it. Buy a good brand, and it will last you at least a decade, depending on how much you play. Alright, now you can choose your favorite design. That’s it. No more steps needed. Are you listening? This list is done! I’ve got to stop this. I’m done, I promise. Enough jokes for the day. Let’s get to the best golf bags of 2019! Before we start, though, I just wanted to say that I will earn a commission if you click on any links/pictures (which will send you to eBay) and buy anything. Thanks! If you are looking for a lightweight bag, don’t pass over the TaylorMade FlexTech Lite bags. There are also FlexTech bags (not “Lite”) bags that are a little heavier but allow for more storage if you need it. I hate useless “fluff” in articles. Let’s get right to the good stuff. Weight: At just 4.3 pounds, the FlexTech Lite bag is strong as anything. Many other bags actually just make “lightweight” bags shorter, but that throws off the weight distribution while walking, causing clubs to fall out much easier. This bag does NOT do this though, thankfully. Durability: It’s made with very high quality material, not the cheap stuff that you’ll see with the off-brands. Will easily last hundreds of rounds. Designs: There are currently 10 different designs for this bag. Personally, I really like the all black bag and the teal bag. They are very simplistic designs, not with unnecessary pockets, bells, or whistles. Price: One of the best priced “lightweight” bags surprisingly. For how professional it looks, I would have guesses it would be much more expensive. Overall Verdict: The TaylorMade FlexTech Lite is 100% the bag that I would buy if I was on the market for one. It’s the perfect combination of price, quality, and designs. Sun Mountain (along with Ogio) are probably the top brands when it comes to golf bags. 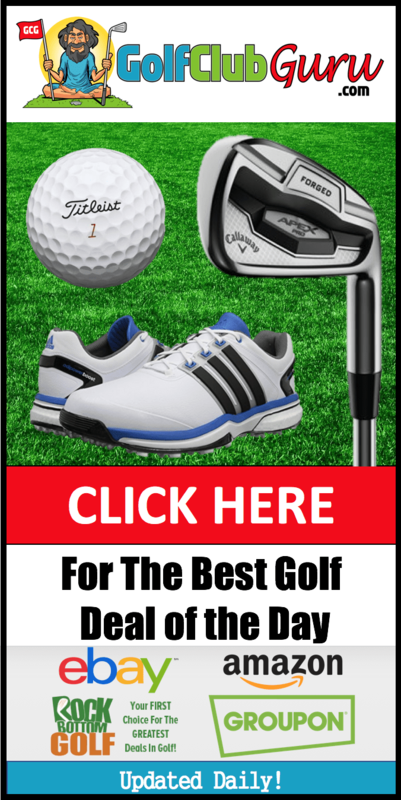 Sure, Callaway and Ping offer great bags, but they are primarily golf CLUB companies. Sun Mountain and Ogio are solely bag makers, and they do their job well. They are the highest quality bags that you can buy without a doubt. They are a little on the expensive side, as you probably could have guessed. However, I think the prices are very fair for how long these bags will last. Weight: Well, the name is Sun Mountain 4.5, so I think it’s safe to assume the weight is just 4.5 lbs, only .2 lbs heavier than the FlexTech that I talked about above. Durability: Like I said, Sun Mountain has a focus on quality. They are bag makers. That’s what they do. These will last over a decade easily if taken care of. Designs: This is my favorite part. They have some designs (notably the red, white, and blue one) that are simply gorgeous and easily identifiable. Price: This brand carries a premium, but it is well deserved. If you like buying high quality items that last longer than the average product, this is the bag for you. If I could get one at a decent price, I will definitely be jumping on it. Overall Verdict: If you want a stand bag with great designs, a light weight, and made with the highest quality materials, the Sun Mountain 4.5 LS is the golf bag for you. It’s pretty expensive though, so be prepared. I’m all about value items when it comes to golf. If you are like me, you like to find the products that are super high quality but priced well under the typical prices. If that’s the case, the TaylorMade TM 5.0 bag is a great option. They currently are all under $100, which is an absolute steal for a bag of this quality. Weight: 5 lbs. The difference between 4.5 lbs and 5.0 lbs is not significant at all. You’ll hardly notice. I would still classify this as a “lightweight” bag. Durability: Not as durable as the Sun Mountain bag, but it will surely last you hundreds of rounds over the years. Designs: Very simple designs. My favorite is the basic, all black bag. Price: Considering that this is the best budget option… yeah the price is good! Spending more than $100 would hurt me a little bit, so this bag is thankfully under that threshold. Overall Verdict: If you want to save some money and still end up with a high quality, professional looking cart bag, the TaylorMade TM 5.0 bag is probably the one for you. If you have decided that you truly need a cart bag (please, please let me know in the comment section why you think you need a cart bag… I’m curious), check out the Sun Mountain C-130. 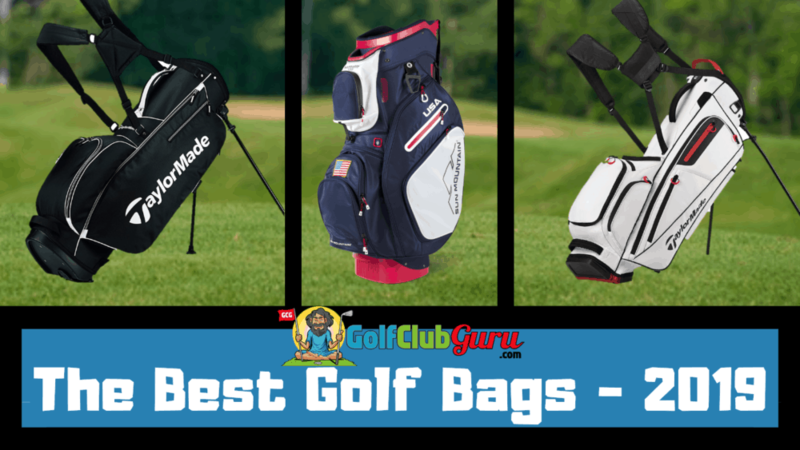 These are some of the most popular cart bags among amateurs due to their immaculate quality and beautiful designs. This bag has plenty of storage, so you can basically pack whatever you want in this bas as long as you are OK with carrying it to and from your cart. Another note worth mentioning is that (at the time of this writing), this bag still has a 5 star rating on Amazon after 60+ reviews. That should tell you a lot right there. Weight: This bag comes in right under 7 lbs, which is very fair for a cart bag. Durability: The C-130 is as durable as they come. Sun Mountain is such a great company that they more than likely will fix any problems if they come up within a reasonable time frame. Designs: Absolutely stunning. There are some basic ones too, but the red/white/blue bag just blows me away. Price: Expensive, but well worth it. Would you rather buy one bag that lasts you $200 or three bags that break and wear down too much after 5 years? Overall Verdict: If you have the money and are looking for a super high quality cart bag, the Sun Mountain C-130 bag is the one for you.